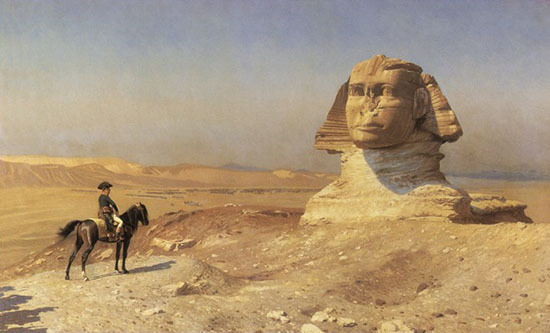 Great Sphinx originally was one of two which would one day be found. Egypt's long-rumored second sphinx may have been unearthed by construction workers building a new road. 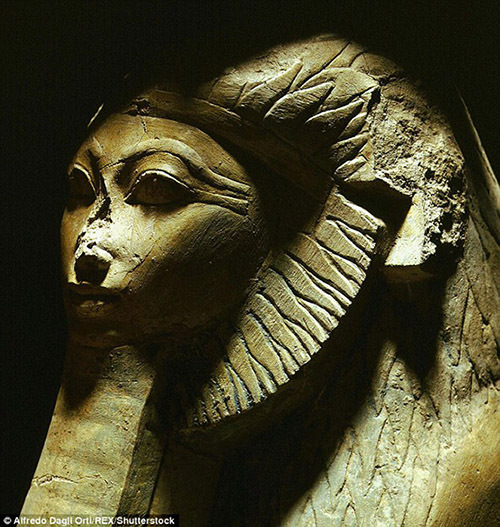 According to local reports, a sphinx-like statue was found on Al-Kabbash Road, which connects the two temples of Karnak and Luxor built around 1400BC. Officials have confirmed the statue has a 'lion's body with a human head'. The 'second sphinx' has not yet been lifted from the ground, however, officials said tourists are welcome to visit the construction site to view the ancient statute. No photographs of the structure have been published, the Director General of Antiquities has confirmed. The Great Sphinx of Giza was discovered by the Great Pyramids on the west bank of the river Nile. It is the oldest and largest known monumental sculpture in the world. In 1798 Joseph Fourier, a 30-year-old professor at the Ecole Polytechnique in Paris, received an urgent message from the minister of the interior informing him that his country required his services, and that he should be ready to depart at the first order. Two months later, Fourier set sail from Toulon as part of a 25,000-strong military fleet under the command of General Napoleon Bonaparte, whose unannounced objective was the invasion of Egypt. Fourier was one of 167 eminent scholars, the savants, assembled for the Egyptian expedition. Their presence reflected the French RevolutionÕs ideology of scientific progress, and Napoleon, a keen amateur mathematician, liked to surround himself with colleagues who shared his interests. Archaeologists digging in Israel say they have made an unexpected find: the feet of an Egyptian sphinx linked to a pyramid-building pharaoh. The fragment of the statue's front legs was found in Hazor, a UNESCO World Heritage Site just north of the Sea of Galilee. Between the paws is a hieroglyphic inscription with the name of king Menkaure, sometimes called Mycerinus, who ruled Egypt during the Old Kingdom more than 4,000 years ago and built one of the great Giza pyramids. Researchers don't believe Egypt had a relationship with Israel during Menkaure's reign. They think it's more likely that the sphinx was brought to Israel later on, during the second millennium B.C. This sphinx fragment was found by archaeologists with the Hebrew University of Jerusalem during excavations at Hazor. Archaeologists digging in Israel say they have made an unexpected find: the feet of an Egyptian sphinx linked to a pyramid-building pharaoh. The fragment of the statue's front legs was found in Hazor, a UNESCO World Heritage Site just north of the Sea of Galilee. 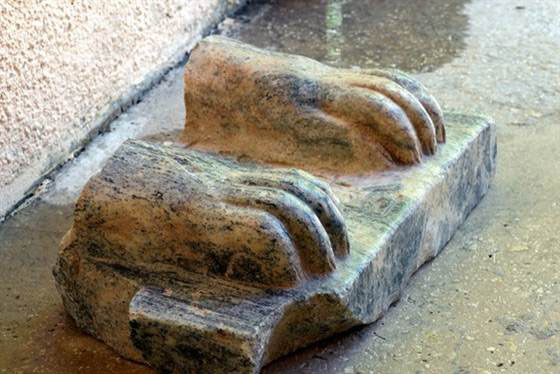 Between the paws is a hieroglyphic inscription with the name of King Menkaure, sometimes called Mycerinus, who ruled Egypt during the Old Kingdom more than 4,000 years ago and built one of the great Giza pyramids. Researchers don't believe Egypt had a relationship with Israel during Menkaure's reign. They think it's more likely that the sphinx was brought to Israel later on, during the second millennium B.C.